Description: Cockburnspath is a scenic village near the Berwickshire coast. 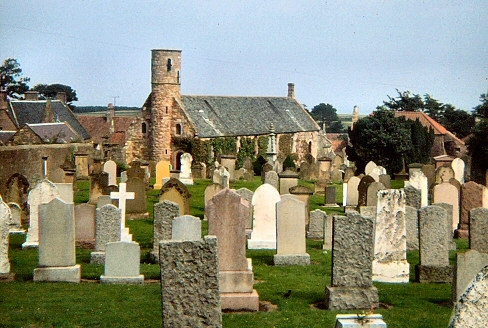 This view shows St Helens Church and graveyard with its unique tower. The Southern Upland Way, a cross-country walk over southern Scotland, starts on the west coast at Portpatrick and ends in the village after a walk of 212 miles.